Thanks to ever-increasing scaffolding sales in Sydney we’ve positioned ourselves as a leading supplier of scaffolding. With over 10 years of experience in the industry and a knowledgeable helpful team of sales staff, we’re the best place to visit for all your scaffolding requirements. If you can’t find quite what you’re looking for in our various scaffolding packages, then we’ll be more than happy to custom a scaffolding solution for you. We pioneered perimeter steel frame scaffolding, bringing it to the Australian market when previously there was little to choose but Quickscaff scaffolding. Far lighter than Quickstaff and taking less than half the time to assemble, once we’d convinced builders and trades of its time-saving costs and benefits, we quickly became a leading force in scaffolding sales in Sydney. While there are many copies on the market, none come close to the quality of our scaffolding products. All of our products conform fully with Australian standards and meet all Worksafe requirements. It doesn’t stop there either. On-going research enables us to improve our products even further and create exciting new accessories. Built by Australians for Australians we’re immensely proud of our unique scaffolding products. But why buy when you could hire? When you buy scaffolding from Molecular Scaffold Sales, you don’t just benefit from a top quality product, you also benefit from our years of experience and extensive knowledge. We can guide you, advise you, and help you choose the right type of scaffolding for your line of work. What’s more, we can custom a scaffolding solution that meets your unique needs. Furthermore, buying your own scaffolding returns a good investment since you’ll lower ongoing hire costs and save time on assembly. We’re all about safety in the workplace and have designed a number of scaffolding solutions designed to handle small and large projects for use by tradesmen and those that are keen on DIY around the home. 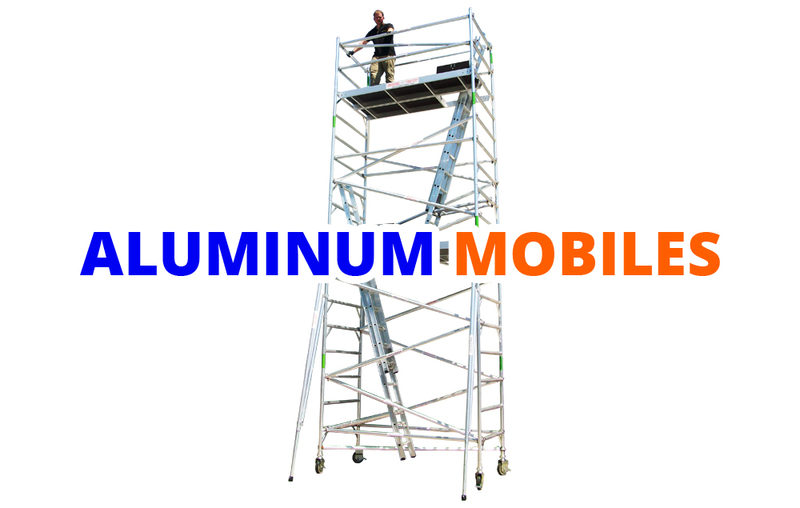 Aluminium Mobile Scaffolding – Our medium duty rating of 450kg means our mobile scaffold towers are more robust and secure than most other towers which have a light duty rating of 225kg. What’s more, all of our towers are kept in stock and ready to order so you can get started on your project as soon as you like. Frame Scaffolding – Supplied as a complete scaffolding system for builders, tradesmen, and hire companies, our frame scaffolding is available in a wide range of lengths and heights. With a heavy-duty rating of 625kg, it’s a real workhorse and can be easily adapted to meet all your perimeter, roofing, fascia and guttering scaffolding requirements. 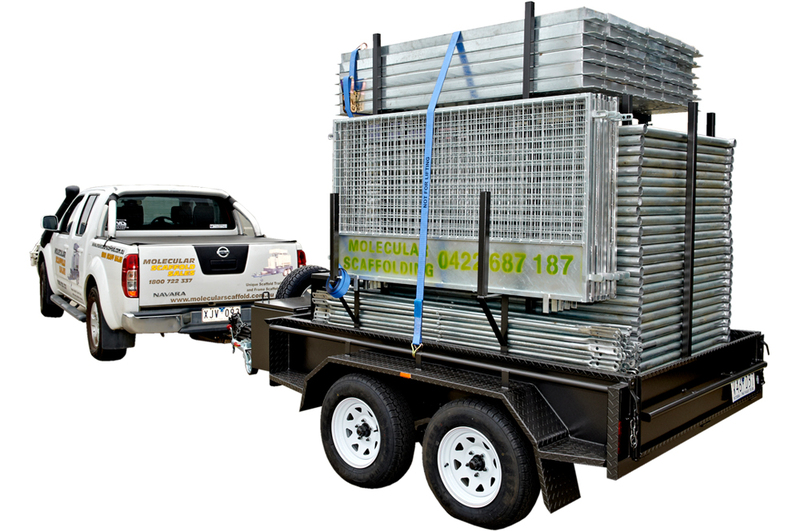 Trailer Packs – We’re immensely proud of this innovative trailer pack which can be hooked up to your trailer and is ready to go. Containing enough scaffolding to handle a length of 25.2 metres and with a 4.5 metre high deck, it can be erected in around 3 hours by just 2 men. Quick Scaff Scaffolding – Traditional Quickscaff scaffolding is still in use today and because of this, we’re pleased to provide a top quality Quickscaff system for those looking to replace parts or buy new ones. You can also choose from a galvanised or painted finish and with an option of an aluminium stair system. Our volume of scaffolding sales in Sydney speaks for itself although we owe a lot of our success to the fantastic service we provide to each and every customer. Just call us if you need advice, guidance, or scaffolding solutions for your project and we’ll be happy to assist in whatever way we can. When you’re ready to buy scaffolding in Sydney call Molecular Scaffold Sales on 1300 072 233. You’ll be pleased to know that we can deliver directly to your door, wherever you are. In fact, we deliver Australia wide. So feel free to contact us for more information about your scaffold product and shipping.